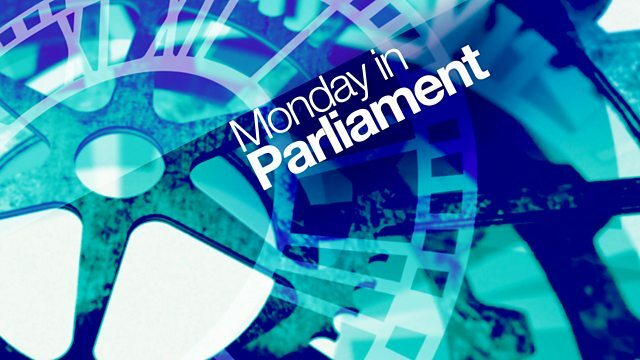 Highlights of proceedings in Parliament on Monday 19 March, presented by Keith Macdougall. Browse content similar to 19/03/2018. Check below for episodes and series from the same categories and more! Friday 22nd of April, thank you. might hold for the port of Dover. when the UK formally leaves the EU. this was a change of policy. in Dover in the future. with no checks at all? covered by the no checks policy? in the port of Dover. 20 minutes to get through. from becoming a car park. a reality as soon as possible? for our border in Dover? Mel Stride on matters of Brexit. on the NHS in England. but can also affect other organs. the decline of the lungs. they do need to be reasonable costs. with me on that point? in other areas as well. to similar concerns, similar delays? to make such a difference? shortly after she was born. you me, I wish I could. are still far from cost-effective. I jolly well hope so. Of course it is not over e-mail. of the lawyer, Sergei Magnitsky. we built pursue them and their cash. filed since October 2000 15.
there, it is all about oligarchs. with the problem of "dirty money":. on the 31st of January. That was action within a fortnight. that there are three elements there? not to get on the list? to the House and publish. to have an effect on then. country not to have done so? that they wish to invest in the UK. to on where the money comes from. day in the Commons and the Lords. watchdog, the National Audit Office. to the Criminal Records Bureau. or in part £200 million over cost. contract requires to be stopped. about the failure of this contract. of contracts from the Home Office. Of course you want to. with a lot of that concern. and stop this happening again? exits this time next year. these women and girls post-Brexit. has brought us until now? country with little way out. 70% are women and 11% girls. against women and girls services. in the words of a Labour MP. by cuts to school budgets. carry a knife in school. and can even kill if misused. according to data from NHS Digital. a review into prescription levels. in the last five years. in both of those areas? for the relief of pain? for large numbers of patients. to report in spring next year. And that's it for this programme. for the rest of the week.